Some of you will remember the incident, must have been at least 25 years ago now, when an 18-wheeler barreled down the 20th Street ramp off southbound I-35 and crashed into a small house situated at the bottom of the hill and squarely in line with the end of the ramp. The truck smashed into the house, and a child who was sleeping — I believe in a second floor bedroom — was killed. It was an incredible fluke — that lone house standing in the path of the truck and the truck plowing into it — and I remember that at The Star we played the story across the top of the front page the next day. Tests were run on the brakes, however, and they tested fine. So it was probably a case of the driver either not paying attention, speeding, underestimating the distance it would take him to stop at the bottom of the hill — or a combination of those factors. 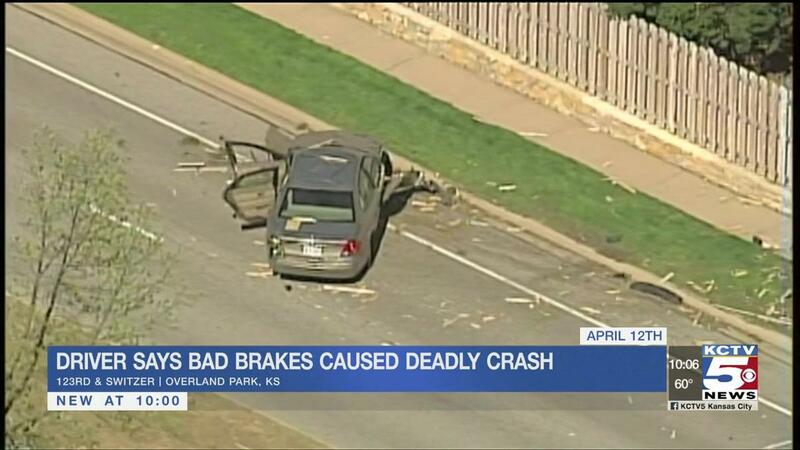 Now, in another example of a driver claiming brake failure, we’ve got a horrible case of a driver going out of control, careening along a sidewalk at highway speeds, smashing into a 14-year-old middle-school student and killing her. That story sounded bad enough when The Star first reported the April 12 crash. But it took on greater significance yesterday, when a police report came out saying that the out-of-control car barely missed three other children, whom a crossing guard had just ushered across the street at 124th. The degree of incongruity is one element that raises or lowers the shock value of a story, and this one ranks very high because the incident occurred at 125th and Switzer Road, in far southwestern Johnson County — where many people go to live to escape the, uh, unpredictability of close-in living. Two Blue Valley schools in the area — Oak Hill Elementary and Oxford Middle — were getting out, and children were walking, crossing streets and getting picked up by their parents. 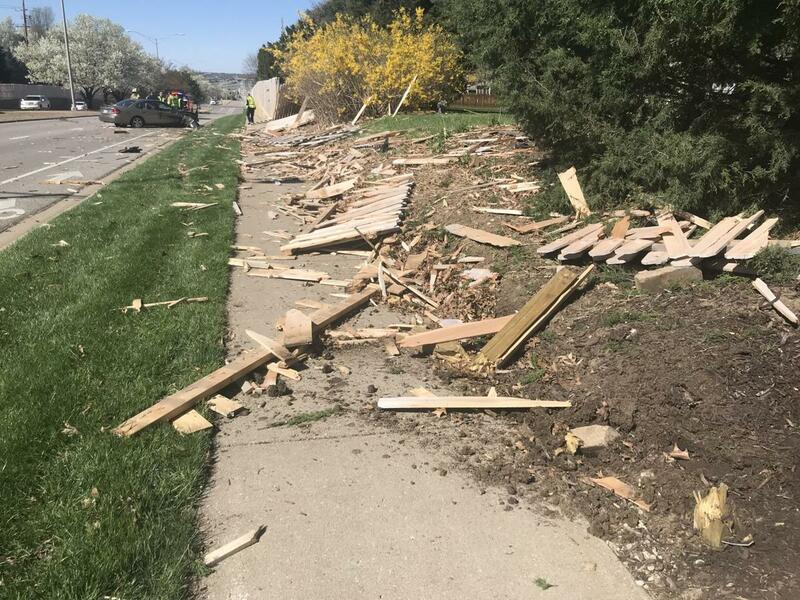 All hell broke loose when a 2006 Ford Taurus being driven by a 70-year-old man came careening north on Switzer, actually by that point on the sidewalk! Besides hitting the 14-year-old girl — Alexandra Rumple, an Oxford student — the car hit a telephone cable box, a pole with a traffic light, a speed limit sign and a fence post. Then, the car plowed down about 80 feet of the fence before coming to a stop. The Star’s story doesn’t say exactly how long the path of destruction was, but the middle school is at 125th Street, and the car came to a stop near 123rd Street. …Well, clearly, like the incident many years ago on the 20th Street ramp, this was not a case of brake failure. Tests will undoubtedly confirm that. Gandhi had a valid driver’s license and showed no evidence of impairment. But something happened to him. And, obviously, he had his foot on the gas pedal while the chaos was unfolding. That car was not coasting when it traveled four blocks and took out property and a human life. Trouble can come in a second. It can come at the bottom of a ramp in a poor section of town, or it can happen in well-to-do, normally serene Blue Valley. Thank God more children were not struck on April 12. I was sorry to read in The Star that Henry Bloch died today. What a blessing he was to Kansas City. What an institution he was. I met him once or twice, the first time when I was assigned to cover a Jewel Ball at the Nelson Art Gallery decades ago. I was fascinated to listen to his easy conversation and watch him move around in a high-society situation that was totally natural to him. One of the last times I saw him was more than 20 years ago at the Cinemark on the Plaza. He was having trouble getting around on one or more balky knees. It went through my mind that the famous Mr. Bloch was getting old…He pushed on nicely, though, and made it to age 96…I knew his brother, Richard, better. I was covering City Hall in the late ’80s and early ’90s, when Richard and his wife, Annette, gave $1 million to the Parks Department for creation of the Cancer Survivors Park on the west side of the Plaza. I remember he wanted the amount of the gift to be a secret, but I got a tip on it and put it in the paper. He was peeved. No matter; he and his wife deserved the credit. Richard died in 2004. I believe Annette might still be alive. The sun was shining on Kansas City’s fountains Tuesday, and the waters flowing from them never looked more sparkling. For those of you who don’t know much about Fountain Day, it’s an annual event in mid-April when all the working, city-maintained fountains are turned on. Each year, the Parks and Recreation Department, in conjunction with the nonprofit City of Fountains Foundation, holds a Fountain Day event at a different fountain. Yesterday it was at the Haff Circle Fountain, at the east end of Meyer Boulevard, at the main entrance to Swope Park. I’ve always loved to see the fountains go on in the spring, but it meant more to me this year because it was my first Fountain Day as a board member of the City of Fountains Foundation. I was invited to be on the board late last year, primarily because two years ago I was a leader in the drive to raise funds to renovate and establish an endowment fund for the Sea Horse Fountain at Meyer Circle. That fountain, one of the most iconic, along with the J.C. Nichols Fountain, was out of commission for more than a year because of a variety of serious problems. Our fund-raising drive was very successful, to the point that the fountains foundation now maintains an endowment fund of several hundred thousand dollars for use in case of major, unexpected problems. During the time I was helping raise money for the Sea Horse Fountain, I became aware of and concerned about the plight of the Haff Circle Fountain, which, like the Sea Horse Fountain, had given way to time and the elements and was, so to speak, dead in the water. I felt confident we at the west end of Meyer Boulevard, adjacent to Mission Hills, could raise enough money to repair our fountain, but I knew the Haff Circle Fountain had very few wealthy benefactors in the immediate area. 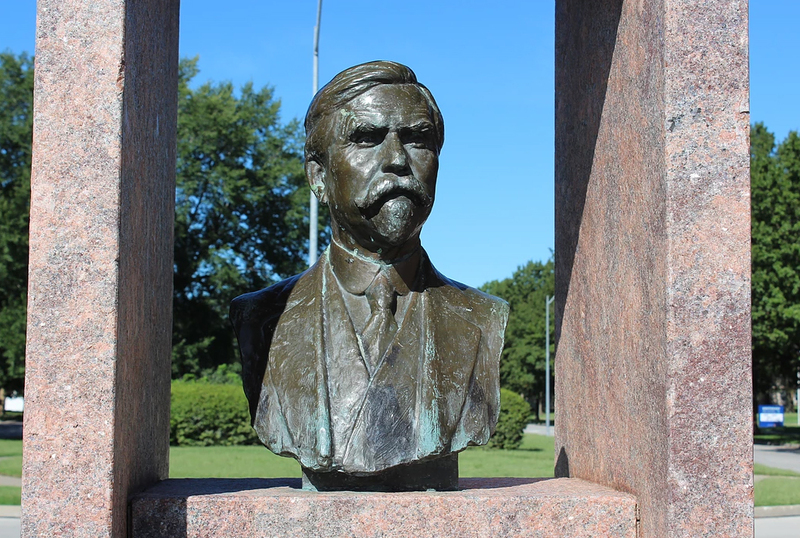 As a result, the prospects for renovating Haff Circle Fountain — named for Delbert Haff, a lawyer and park board member in the early 1900s — were not promising for many months. The first major donor to step forward was mortgage banker James B. Nutter Sr., who several years ago pledged $300,000 toward the renovation. Before he died in July 2017, Nutter would badger Pat O’Neill, then president of the City of Fountains Foundation, asking him when restoration work was going to begin. O’Neill would tell Nutter — to his chagrin — that work could not start until all funding was in place and a contract could be awarded. And so the fountain, which neighborhood children had used as a wading pool of sorts, sat dry. But three months before Nutter died, Kansas City voters approved $800 million in general obligation bonds for a variety of uses, and later City Manager Troy Schulte earmarked several hundred thousand dollars each for renovation of the Haff Circle Fountain and the Spirit of Freedom Fountain adjacent to Brush Creek. After plans were drawn up and the JE Dunn Co. offered to undertake the renovation at cost, serious work began last year at Haff Circle. The final price tag was $1,445,572. Of that $462,784 was privately donated money, $636,021 came from general obligation bond funds, and $348,767 came from other city sources. So yesterday, about 100 people gathered at the east end of the fountain for the culmination of several years of fund-raising and work. After a 10-second countdown, the jets were turned on, and water shot upward, triggering applause and cheers from the crowd. 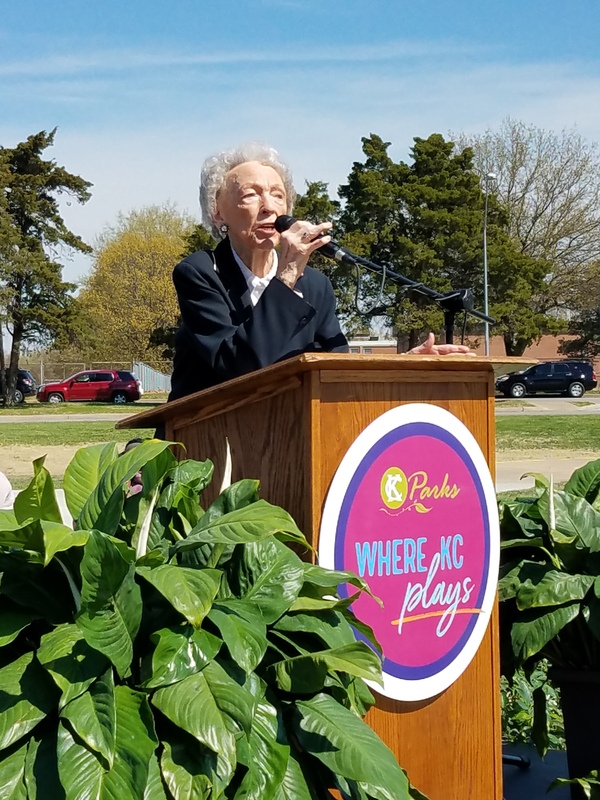 Among those who spoke at the re-dedication were park board member Mary Jane Judy, City Council members Alissia Canaday and Lee Barnes, James B. Nutter Jr., former park board president Anita Gorman and two great-granddaughters of Delbert Haff. One of the great-granddaughters, Anne Salisbury, talked about how it had been passed down to her how much her great-grandfather cherished open spaces and the nascent parks system. Nutter Jr. talked about his father’s love for Kansas City’s east side. Anita Gorman spoke about Haff’s successful efforts to clear a legal path for the park board to obtain thousands of acres that set the stage for development of the city’s extensive park system. 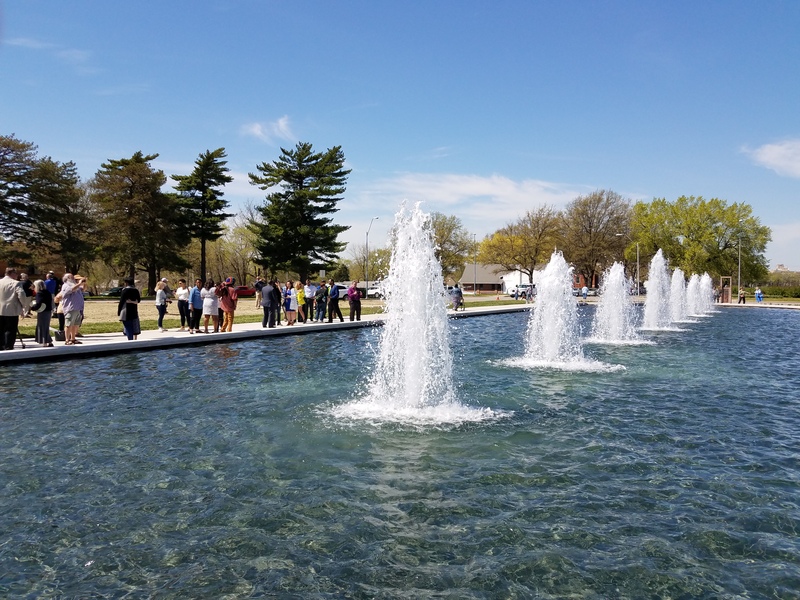 For parks officials, the City of Fountains Foundation, Kansas City’s east side and, truly, all of Kansas City, it was a grand and gratifying day. If you haven’t read The New York Times’ special investigation into Donald Trump’s finances, which was published last October, you should: Its authors just won a Pulitzer Prize in the category of explanatory reporting. The story, which took reporters David Barstow, Susanne Craig and Russ Buettner 18 months to report and write, revealed that Trump received the equivalent, in today’s dollars, of at least $413 million from his father’s real estate empire. In addition, much of that money was realized through dubious tax schemes he participated in during the 1990s, including instances of outright fraud. The Pulitzer was the fourth for Barstow, a record for a reporter. 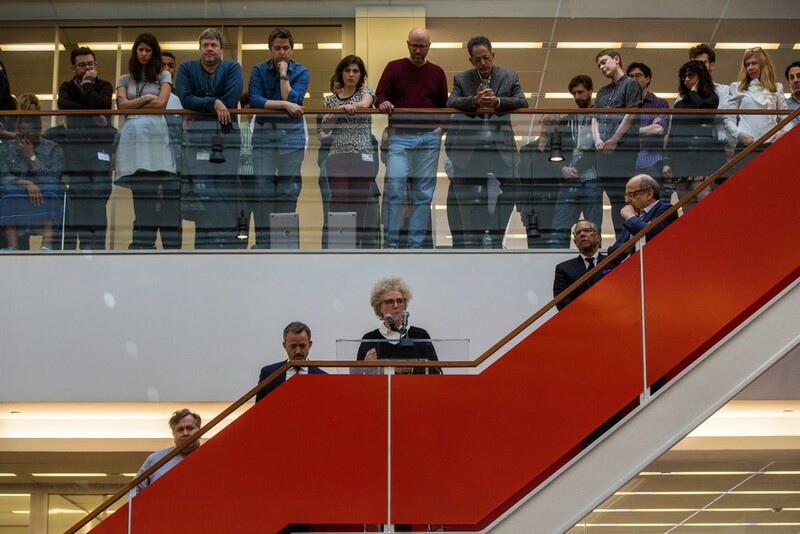 Susanne Craig addressed The New York Times newsroom Monday after she, Russ Buettner, to her right, and David Barstow, to Buettner’s right, won the Pulitzer Prize for explanatory reporting. The Pulitzer Prizes, journalism’s highest honor, were awarded yesterday. Among the winners was St. Louis Post-Dispatch metro columnist Tony Messenger, who won for a series of pieces that exposed how poor people convicted of misdemeanor crimes were charged fees for their time in jail, sometimes leading to years of debt and imprisonment. As a result of Messenger’s columns, the Missouri Supreme Court ruled that the practice was illegal. 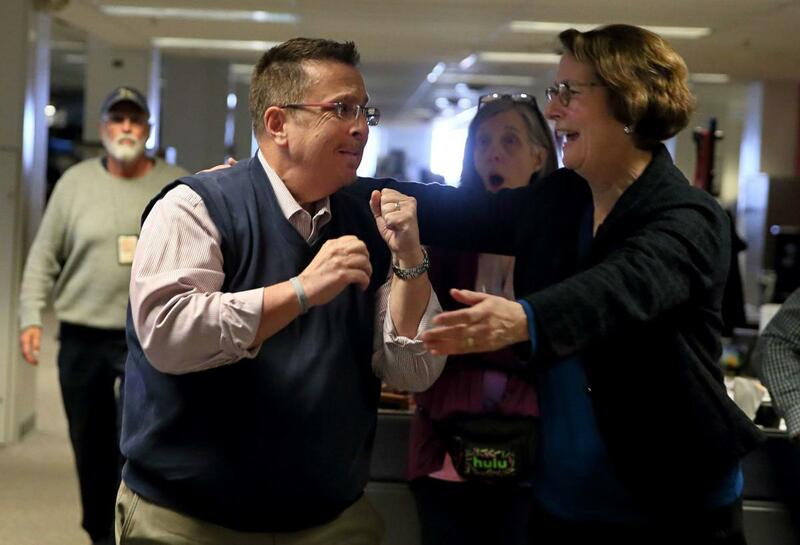 Tony Messenger and his editor, Marcia L. Koenig, reacted to the announcement that he had won the Pulitzer Prize for commentary. Messenger, 52, is an inspiring person in addition to being an accomplished journalist. In 2015, he was a Pulitzer finalist for the paper’s editorials on unrest in Ferguson. Late that same year he developed throat cancer and had to take a leave of absence while fighting it. When he returned to work, he came back as metro columnist. The Star’s Melinda Henneberger was a finalist in the commentary category for a series of columns, including several on former Missouri Gov. Eric Greitens and the affair that led to his downfall. Caitlin Flanagan of The Atlantic was the other finalist in the commentary category. The winner in the public service category was the South Florida Sun Sentinel for its coverage of the causes and consequences of the 2018 mass shooting at Marjory Stoneman Douglas High School in Parkland, Fla. The paper exposed a culture of leniency at Broward County schools, mistakes by the sheriff’s office in responding to the attack and attempts by officials to cover up their failures. 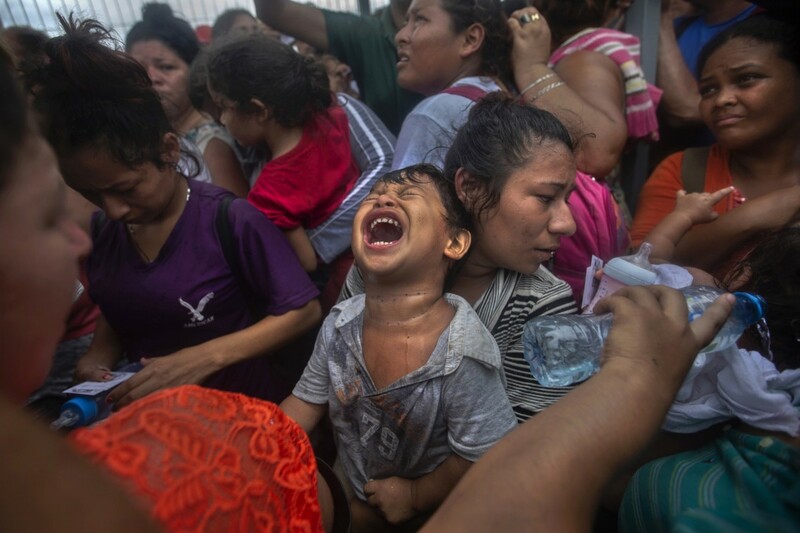 The Pulitzer for breaking news photography went to several staff members of the Reuters news service for a series of photos titled “On the Migrant Trail to America.” Here is one of the photos. Here is the complete list of this year’s Pulitzer Prize winners. If you live to be in your 60s and 70s (like many of us have) and you’re a newspaper reader (like some of us still are), mandatory stops in the Sunday Star are the “Final Chapters” segment and the “Remembrances,” better known as the obituaries. It can be touching, satisfying or sad — or all of those — reading about people who are just a few steps ahead of us as we hurtle toward our ultimate mark on the horizon. He was a college professor who got on the old TV quiz show “Twenty-One” and allowed himself to be talked into cheating his way to winning a then-record $129,000. He confessed before a congressional committee in 1959 and then lived much of the rest of his life in something self-banishment, refusing to grant interviews and even leaving the country for several weeks when the firm “Quiz Show,” about the rigged game, was released in 1994. On Saturday’s Op-Ed page in The New York Times, columnist Bret Stephens tipped his hat to Van Doren for never trying to capitalize in any way on his name recognition. What a contrast, Stephens said, to the way many people deal now with cheating and lying after being exposed — and how differently society treats them. He died April 9 in Canaan, CT, and was 93. Last year, the LPGA sponsored 32 events in 13 countries and awarded $65.35 million in prize money. 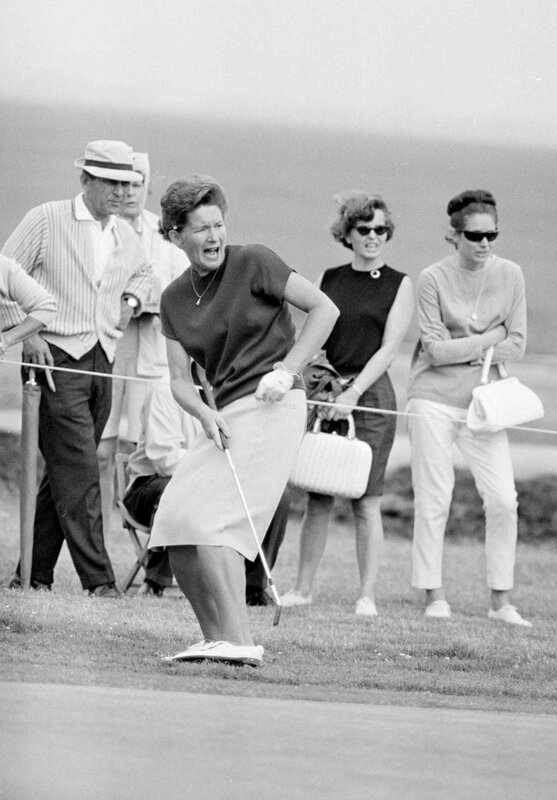 Smith died Tuesday in Goodyear, AZ; she was 89. Everyone in Kansas City recognizes the Belfonte name, and most have probably purchased Belfonte milk, cottage cheese or ice cream. When I go to Price Chopper or Brookside Market and need milk, I always pull a carton of Belfonte from the cooler. 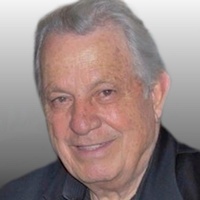 Sal Belfonte died April 11 at age 84. I have no connection with Thomason and had never heard of him. But his obit caught my eye partly because he was only 42 when he died. The first paragraph of the obit said Thomason grew up in Raytown and graduated from Raytown South. He was employed by the Kiewit Engineering Group and liked to fish and play golf and was a Royals’ and Chiefs’ fan. I can’t remember an obit that took on the issue of depression, and, by extension, suicide, so directly. It took a lot of courage for the family to write that obit that way. My heart goes out to them, and I applaud them. Michael died April 10. Survivors include his parents and a son and a daughter. I was happy and a bit surprised to read in a Pete Grathoff column in The Star a couple of weeks ago that some concession prices were being lowered at Kauffman Stadium. Great, I thought, those prices are reasonable. Today, I made my first trip this season to the stadium and, while waiting to meet family members, I went to the concession stand adjacent to Section 120 on the lower level, not far from the main entrance to the stadium. Big pretzels are about the only thing I ever buy at stadiums, and even though I had the peanuts, I thought that if I could get a pretzel for three bucks, I just might buy one. But as I surveyed the concession stand menu and prices, I became disillusioned. …I thought maybe I hadn’t read Grathoff’s story carefully enough (I didn’t have it with me) and that the lower prices were only good at some remote concession stands. “Concession stands will have signs indicating the cheaper prices and they will be located at sections 120, 135, 213, 242, 308, 417 and 422.” Like I said, I was at the section 120 concession stand. I did not get in line and check with a concessionaire to see if perhaps the new prices were not reflected on the sign board. But I’m pretty sure that wasn’t the case. If the Royals had lowered the prices, I’m sure they’d have changed those signs right away. After the other members of my group arrived, we sat down in some seats in section 120. We had gotten tickets, free of charge, from a friend, but those seats were way up in section 412. The crowd was small, though, and it was chilly, and the stadium attendants were basically letting people sit wherever they wanted. So, that part of the afternoon was unequivocally a good deal — even though the Royals managed to pull defeat from the jaws of victory and lost their 10th straight game. But back to those concession prices: Until somebody proves to me otherwise, I’m going to consider it a case of bait and switch. Show me, then, Kansas City Royals: Just where can I get one of those $3 pretzels? 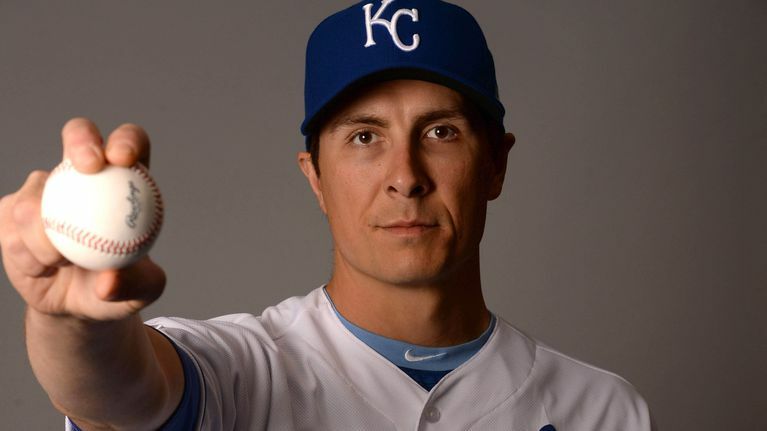 Remember all that talk from spring training about the Royals going back to speed and defense? I guess management sold us another Trojan Horse…Somebody forgot to tell us the team has no hitting or pitching. This is a team that only Rex Hudler could love. Last night, for example, on the pre-game show, Rex looked into his never-foggy crystal ball and predicted the Royals were going to beat the league-leading, heavy-hitting Seattle Mariners. Over the winter, the Mariners disdained a move to speed and defense and instead opted for power hitters. The pitching match-up was journeyman Homer Bailey for the Royals (Homer is a career 67-game winner) and Felix Hernandez, a 169-game winner, for the Mariners. Fortunately for the Royals, Hernandez was ill and came out after one inning. Bailey was going along alright, but the turning point came with two out in the top of the fifth inning, with the Royals leading 4-2 and the Mariners having runners on second and third. A pitch or two later, Santana mashed a base hit to left field, and the runners on second and third came home to tie the game. Manager Ned Yost sent Bailey back out to the mound to start the sixth inning. The first batter hit a home run; the second walked; and the third singled. Yost then pulled Bailey, but the party was on for the Mariners, who sent another nine batters to the plate and scored an additional seven runs. By the time a pitcher named Scott Barlow recorded the third out for the Royals, the Mariners led 12-3. I stopped watching after Homer gave up the game-tying hit to Santana. The final score was 13-5. Last year, the Royals went 58 and 104, and now — at 2 and 7 — they’re on pace to lose about 120. I know this is crazy, but I think a loss record approaching 120 might test even Rex’s unbridled enthusiasm. I was sorry to read in The Star that the Tivoli Cinemas are closing. 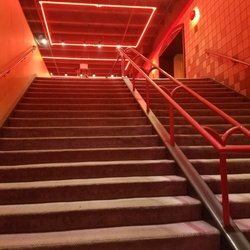 I’ve been there many times over the years, but when Patty, Brooks and I were talking about the closing last night, it occurred to the three of us we had not been to the Tivoli very much in recent years. And that’s the main reason the place is closing: Not enough people have been going. I think the last movie I saw there was “Puzzle,” a 2018 movie about an unfulfilled housewife whose life changes dramatically after she discovers she has a facility for working jigsaw puzzles. You’re just not going to see movies like that at the mainstream theaters. With the demise of the Tivoli, we still have Brian Mossman’s Fine Arts theaters in Overland Park. He has the Rio at 80th and Metcalf and the Glenwood Arts theaters at the Ranch Mart Shopping Center. Let’s end on a happier note. The Star recently ran a wonderful guest commentary by Mindy Corporan, whose father, William Corporan, and son, Reat Underwood, were killed April 13, 2014, by a wacko outside the Jewish Community Center. 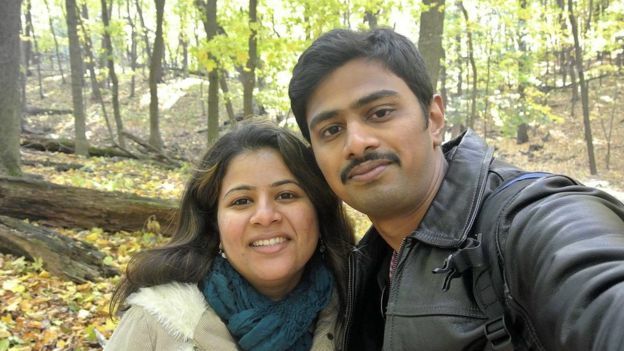 Accompanying the commentary is a video of a meeting between Mindy Corporan and Sunayana Dumala, whose husband Srinivas Kuchibhotla was killed by another wacko on Feb. 22, 2017, at a bar in Olathe. I urge you to check out the video. The two women touchingly talk about the friendship that developed between them after Mindy reached out to Sunayana. Sunyana says in the video that Mindy related how waves of grief would suddenly overcome her and that it was part of a natural grieving process. As Sunyana speaks, Mindy looks at Sunayana, smiling gently and nodding. It’s a video of two strong and beautiful women — one Hindu, one Christian — coming together almost out of necessity and under incredible duress. The deeds that brought them together are among the worst that have ever occurred in our area, but it is inspiring and uplifting to see something so good come out of those deeds. P.S. The only thing I was sorry to see in Mindy’s commentary was that she and her husband and their surviving son Lukas apparently have moved to Florida in order to help Lukas get a new start in life. Juggling three election jurisdictions on my pocket calculator last night with the results pouring in, I thought I was on top of the numbers. Last night I had Jolie Justus beating Quinton Lucas by about 400 votes. I recomputed this morning and came up with Justus with 12,630 votes and Lucas 10,287. As expected, turnout was low. In Kansas City, 19 percent of registered voters cast ballots. In Platte County, it was 16 percent, and Clay County brought up the rear at slightly more than 13 percent. 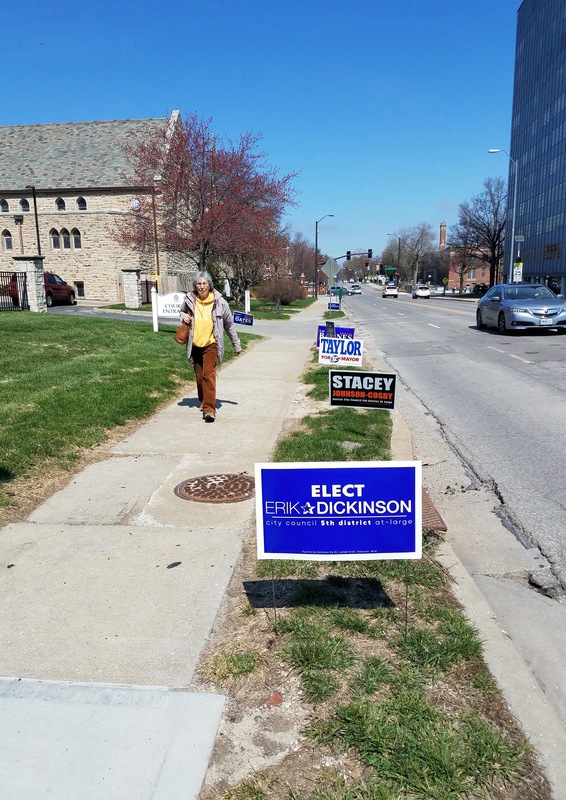 The turnout will be significantly higher for the June 18 general election, and it’s hard to say if that will be of greater benefit to Justus or Lucas. It could help Justus because she is better known and has a deeper track record as an elected officeholder. On the other hand, Lucas has a more appealing personal story, having been raised by a single mother and having pulled himself to success through grit and intellect. Justus will have near-unanimous support in the LGBTQ community, and Lucas will get the vast majority of African-American votes. He should pick up many of Canady’s votes, as well as those of Jermaine Reed, another African-American candidate, who finished eighth in the field of 11. Another wild card is the DUI charge hanging over Lucas’ head out of Lawrence, KS, where he is a lecturer at the KU School of Law. He got a bum deal on that incident when an officer ticketed him after finding him asleep behind the wheel while parked and with the motor of his car running. He had been to a party, had some drinks, and when he got to his car, he started it but thought the better of driving and took a nap. Cop could have let him go but hauled him to jail. Lucas is fighting the charge hard, and I would bet it will be dismissed. In any event, it didn’t seem to hurt him yesterday. As I said in last night’s post, I now expect Lucas to get The Star’s endorsement in the general election, and that could be a huge factor, mainly because, even with its influence on the wane, The Star holds sway with many elderly people. That’s the paper’s core constituency, and they vote. Let’s look at the results in the three most-contested, at-large City Council races. In the 3rd District at large (the seat being vacated by Lucas), state Rep. Brandon Ellington defeated Wallace Hartsfield II, a minister, by a count of 25,261 to 18,770. Ellington turned to the council race because he is term-limited in his state office, now serving the last of his allowable four two-year terms. Both candidates will go on to the June 18 general election. Ellington has the advantage of name identity and previous public service, while Hartsfield has the support of Freedom Inc…Ellington will be difficult to beat. In the 5th District at large, incumbent Lee Barnes Jr. easily defeated Dwayne Williams and Erik Dickinson. Barnes had 20,541 votes to 12,172 for Williams and 11,766 for Dickinson. Williams, president of the Twelfth Street Development Corporation, will advance to the general election, along with Barnes. Barnes ran with Freedom’s support in 2015, but Freedom grew disenchanted with him and threw its support to Williams this time around…Looks like Freedom is going to have to stomach Barnes for another four years. In the 6th District at large (the seat Scott Taylor is vacating), Andrea Bough, a lawyer, outpaced Stacey Johnson-Cosby, a realtor, by a vote count of 25,879 to 18,580. Bough got the lion’s share of organizational endorsements. Johnson-Cosby’s prospects appear dim. 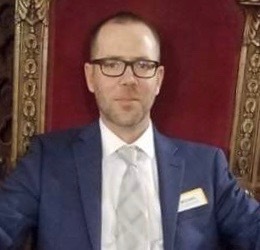 In the 1st District at large, political newcomer Kevin O’Neill, owner and editor of the Labor Beacon newspaper, is unopposed. In the 2nd District at large, incumbent Teresa Loar is unopposed.